Volunteers from near and far are an important part of this endeavor, working alongside OSA archaeologists. Lab activities are varied, typically including several different tasks over the course of the day. Volunteers may learn to use the flotation machine—soil samples are placed into a large, water-filled machine and circulating water separates out seeds and charcoal (which float) from the other artifacts. Other excavated artifacts are hand-washed in sinks using toothbrushes. Cleaned artifacts are sorted into material categories (for example, metal, ceramics, glass, prehistoric stone items) and identified. The dried flotation samples are similarly sorted, but under a microscope. 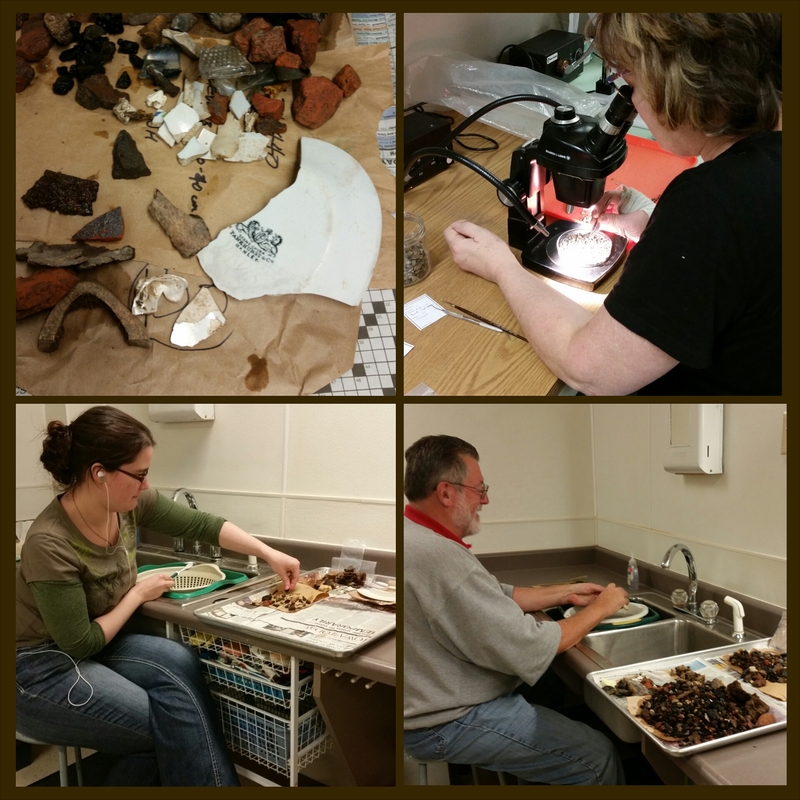 Volunteers Bill and Melissa wash artifacts, while Angela sorts through flotation samples under a microscope. 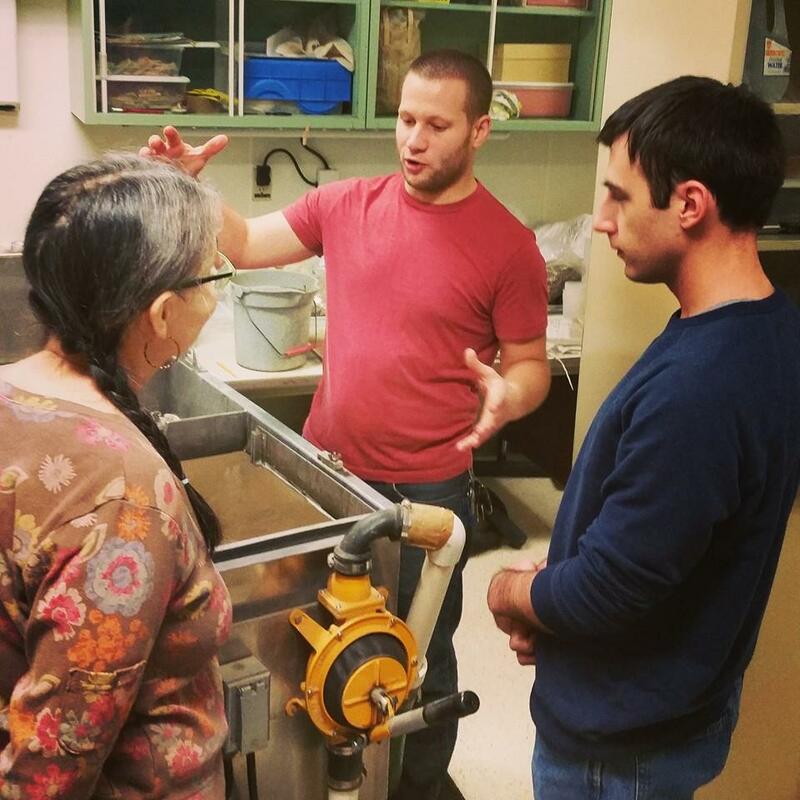 Archaeologist Anson Kritsch explains the flotation process to volunteers Robert and Charlotte.